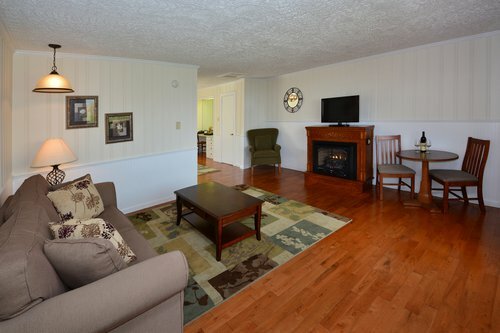 Or call +1 (828) 765-2153 to book via phone. Our Heidi rooms are adjacent to the Main Lodge. The building backs up to the restaurant and the old Buchanan burial ground. Recently renovated, the Heidi Suites are large with a king bed in the bedroom, sleeper sofa in the living room, gas log fireplaces and air conditioning. 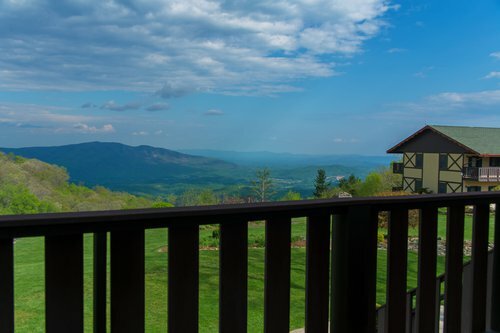 A large deck provides a spectacular mountain view. Maximum occupancy is 2 unless authorized by the manager. 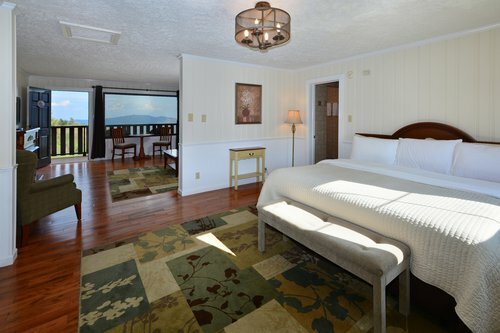 Our Heidi rooms are spacious, very comfortable and have sweeping mountain views.